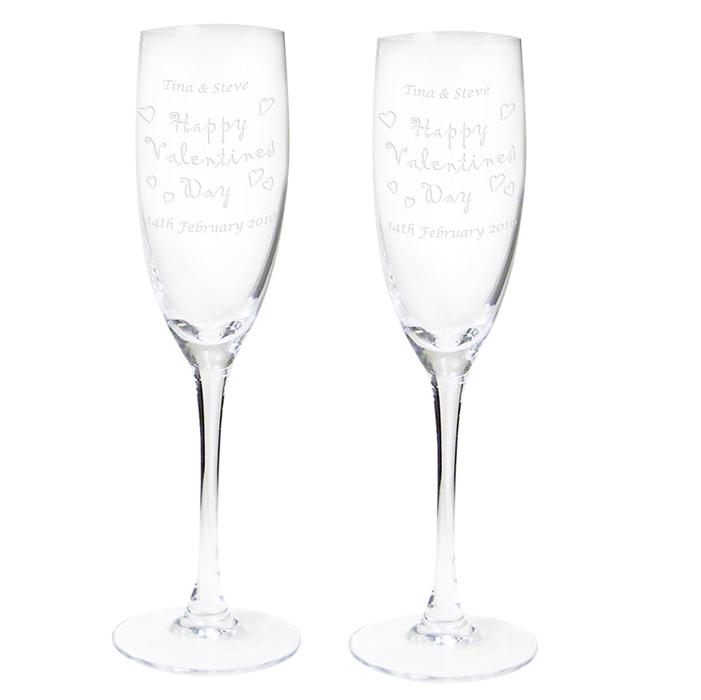 This lovely pair of Heart design flutes are perfect for celebrating on Valentine's Day. Personalise the flute with any message over 2 lines and up to 20 characters per line, each flute can have its own special message. The wording 'Happy Valentine's Day' is standard text. 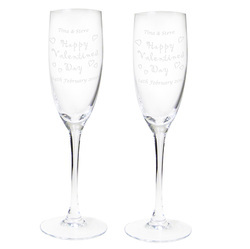 Each glasses measure the below. Set is presented in a silk lined gift box.